Pǔ’ěr is a vast, and a truly wonderful category of tea. 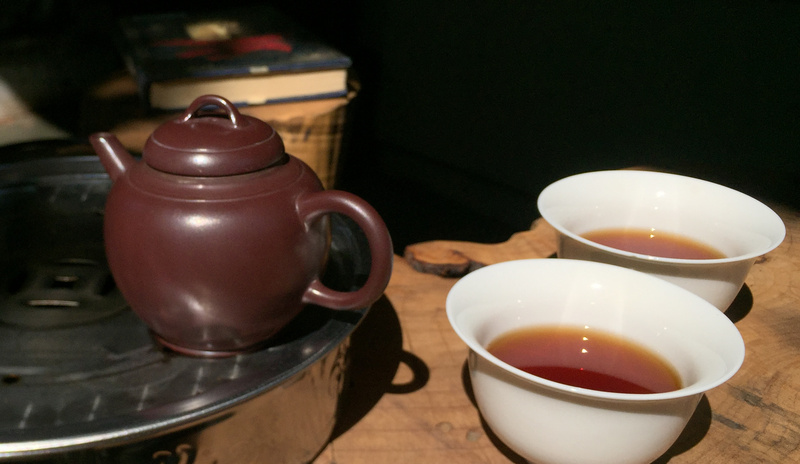 These teas can be at once profoundly magical, and profoundly down-to-earth. It also remains one of the categories which is most poorly understood by Western tea drinkers. With this class, I hope to give you a framework on which to begin building your own understanding of pǔ’ěr. We’ll look at how these teas are produced, stored, prepared, and consumed, as well as how pǔ’ěr fits into the broader world of tea. And, perhaps more importantly, we’ll drink some really nice ones! The slides, handouts, and discussion will begin to familiarize you with the unique place pǔ’ěr occupies in tea cultures, histories, and economies within China, Taiwan, Hong Kong, and Overseas Chinese communities. We’ll also discuss — and start to observe — several factors of quality, including regional and processing differences, tree age, leaf age, finished tea age, and storage style. The hands-on elements will introduce you to a few of the nearly unlimited possibilities within the world of pǔ’ěr, and make use of some helpful vocabulary to guide our focus towards the textures, flavors, fragrances, and sensations which make pǔ’ěr so special. Your ticket includes tastings of young and aged shúchá (熟茶 — “ripe” pu’er), young and aged shēngchá (生茶 — “raw” pu’er), your informational handout, and a 10% discount if you’d like to buy any of the teas we sample during this class. My intention is that, after attending the class, you’ll feel better equipped to explore this wonderful category of tea on your own, as well as more comfortable conversing with, and learning from, people who grew up with pǔ’ěr teas and tea cultures.